Proprietary Name: Mucus Relief Dm What is the Proprietary Name? 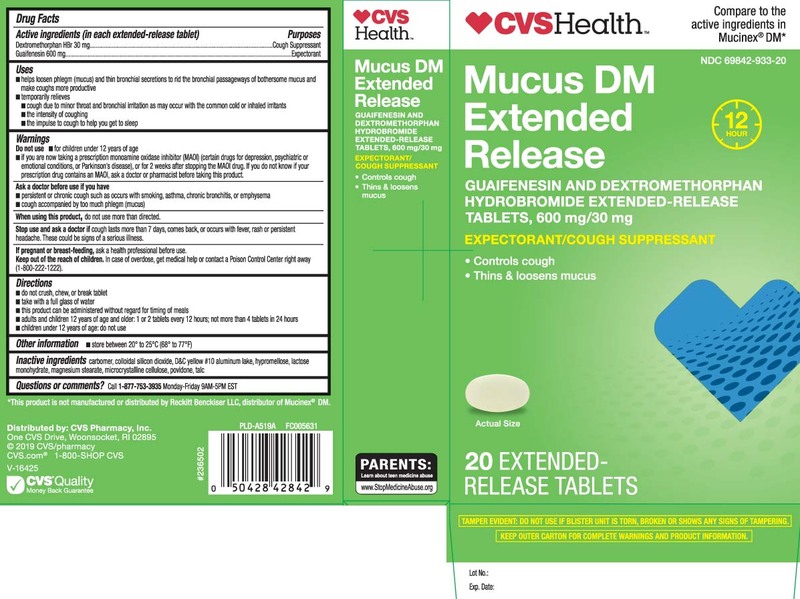 Mucus Relief Dm with NDC 69842-933 is a a human over the counter drug product labeled by Cvs Pharmacy. The generic name of Mucus Relief Dm is guaifenesin, dextromethorphan hbr. The product's dosage form is tablet and is administered via oral form.